BLACK PU LEATHER CAR/VAN STEERING WHEEL COVER GLOVE. Simply Stretches Over the Existing Steering Wheel. Excellent Low Cost Way of Renewing an Ageing Steering Wheel. 1x Gear Shift Knob. Universal fit for most manual car auto truck. Fits for most car manual transmission. Material: Aluminum Alloy Leather. Speed: 5 Speed. Style: Globe Shape. Hickory Black Auto Car Steering Wheel Suicide Spinner Handle Knob Booster. Knob Material: Wood Plastic. Clip the ring on the steering wheel at a proper position. Screw the bolt up to fix the ring securely. For E87 (02/2003 — 02/2007). for E87 LCI (01/2006 — 06/2011). It is also suitable for E90 saloon E91 touring E92 coupe and E93 cabriolet 3 series from 2005 - 2011 as list. For E91 (02/2004- 08/2008). Red Crystal Bubble Manual Car Gear Stick Shift Lever Shifter Knob Gearstick UK. 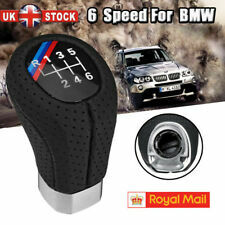 Universal Car Gear Shift Knob Manual Shifter Lever Handle Stick Brown Leather UK. Universal Auto Car Gear Shift Knob Shifter Boot Dust Cover Glove PVC Leather. Massage the palms to ease driving fatigue. 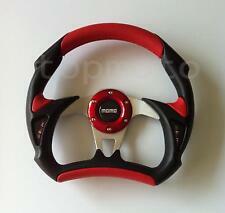 - Easy to install, suitable for 14.96" (38 cm) steering wheel. Type: Four Seasons Comprehensive. - Non-slip, delicate texture, stylish sports design carefully decorated your car. Type: Steering Wheel Spinner Knob. 1 x Steering Wheel Spinner Knob. The bearing-mounted power handle enables drivers to steer softly when driving slowly and parking cars. Compatible with most major of vehicles, customize your car with this car strengthener ball. It is clamped securely to your existing steering wheel in your car, lorry or van. 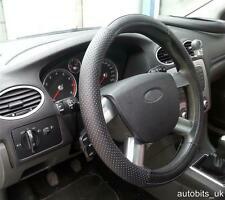 - Type: Steering Wheel Spinner Knob. - The bearing-mounted power handle enables drivers to steer softly when driving slowly and parking cars. 2 port USB socker. USB socket power output: DC 5V 4.2A. Switch Color: Black. Use safely,have a good protection of Output circuit,overload,reverse polarity and multiple protection. Over-heated, over-current, over-charging protection, charging will be automatically stop when battery is full, easy to use and install. 12 volt switch for in car use. Ideal for Car PC. THE LED's WILL TURN ON WHEN YOU TURN ON THE SWITCH. Blue LED's will be lighted up when the switch is turned on. Easy setup. 3/4" hole is required and the switch will sit in nicely; don't need to cut outs. Universal Car Wide Flat Interior Rearview Mirror 200MM Adjustable Suction Cup. 1 x Interior Rear View Mirror. Type: Suction Rearview Mirror. Mirror color: Clear. Instruction is not included. - Large and unobstructed rear view. 1 Ignition Switch Panel. Installation of power off switch, it can instantly cut off the power of the whole car, bring unlimited driving pleasure for you. Color: Carbon Fiber. Material: Aluminium Alloy Plastic. 4pcs per set (2pcs front door sill scuff cover 2pcs rear door sill scuff cover)with Small scraper board. Material: 3D carbon fiber (NOT real carbon fiber ). Size: Front door: 60 7cm, rear door :40 7cm,Small scraper board:13 6cm. Black Thread x1. Steering Wheel Cover x 1. Features : soft, clean, pore exquisite and comfortable handle. Total Length: approx. Top quality manual gear gaiter made from eco leather with black stitching. Qty included: 1 Gear Knob 1 Eco Leather Gaiter. Remove (twist, unscrew) your old gear knob.Then insert the knob back to your car. 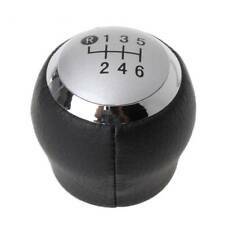 Black Universal Car 5 Speed Aluminum Shift Gear Knob Manual Stick Shifter Lever. Daewoo, Daihatsu, Datsun, Dodge, Eagle,Buick, Cadillac, Chrysler, Citroen. Universal fits for most of cars,such as. Material: Aluminum. The black line of the replay box connects the body material or the battery negative. Note: Do not push the Start Button when the engine is running, to avoid starter failures. Easy setup; All you need is a 1.18"/30mm hole and the switch will sit in nicely. 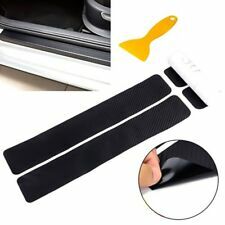 (4pcs per set (2pcs front door sill scuff cover 2pcs rear door sill scuff cover)with Small scraper board). Material:3D carbon fiber (NOT real carbon fiber ). Applicable Car: Universal（Can be cut）. Front door: 60 6.8 2cm, rear door 40 6.8 2cm. 2" (52mm) Black Face Gauge with a Magnified Tinted Lens. Vacuum and Compression Levels Between -25 to 0 in HG. Vacuum and Compression Levels Between -25 to 0 in HG. 7 Color LED through dial lighting with color recall ability. VW BEETLE 98-2005. Enhance Shifting more Smoothly and Quickly into the Gear Box. Gear Stick Hole Size:1 2mm. 5 gear (1, 2, 3, 4, 5 ) and Reverse. Material: High Quality ABS Rubber Gel PU leather. The finishing touches to the right interior design. Very nice, high quality aluminium sport pedal. This is a set of 3 non-slip pedal car Brake Pads. For manual pedal cars. 3 pcs x pedal brake pads. Safe for driving and reduce foot fatigue. Best Brake Pads decoration for your car! Smoke Tint Lens, Red Illuminated Needle. Power: DC(10-15V) 12V Professional. 1 x Exhaust Gas Gauge. Gauge Length: 7.3cm / 2.87". Gauge Wire Length: Approx. 52cm / 20.47". LED super white display. Add a racing look and feel to your ride,High quality and light weight. Size for cut out 44mm x 25mm with 18mm clear space behind panel. Range from 4.5v to 30v. Very easy 2 wire installation can be left on whilst engine is running or fitted with a switch. With Red display numbers. 1 X Tacho Gauge. Adjustable shift light on face. Reads: From 0 to 8,000 RPM. Universal fit 12V Vehicle. Detail Image. Easy install, durable,shockproof. Here is all you need, a selection of 5 dials of the most common sizes, just peel off the backing paper & stick straight on top of your speedo glass.Than place either the MPH or KPH sticker on the dial which is also provided in the kit. Step2 Place the new knob over the shifter and fasten the correct nut. 150mm Transparent Manual Diamond Crystal Bubble Styling Shift Gear Knob Universal. Step1 Remove the original factory gear knob from shifter. 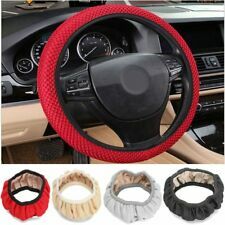 Auto Leather Cowhide DIY Car Steering Wheel Cover With Needles and Thread. Steering Wheel Cover Material: Real Cowhide. 1 Color of Steering Wheel Cover; 2 Color of Cover Sewing Lines. Steering Wheel Cover. Features: Durable, automatic gear shift knob. Main Color: Black. Material: Carbon Fiber, Not Easy To Crack. Light weight, Anti-Skid, Waterproof. Protect Interior Door Sills From Scratches / Scuffs When Enter Or Exit Your Vehicle. Color: Red, Blue, Silver, Black. Compatible with most hub adapters(OMP,MOMO,Sparco hub/quick relese etc). O.D. : 350mm / 14". Made of high quality PVC Leather. 0.75L Alloy Baffled Engine Oil Catch Can Tank Tube 2x 19mm Barb & Hose Kit Black. Cnc cut 5mm gloss black acrylic triple 52mm gauge mount single din. 1pcSteering Wheel Spinner Steering Wheel Knob. This item is well made of premium material for durable and practical use. It can be used in different thickness of the steering wheel. Power ball can rotate 360 degrees, easy to operate. Compatible6: 2005-2014 Toyota AYGO. 2005-2014 Toyota AYGO. Compatible4: 1997-2008 Toyota AVENSIS. 1997-2008 Toyota AVENSIS. Compatible1: 2002-2009 Toyota Verso. 2002-2009 Toyota Verso. Compatible3: 1994-2000 Toyota RAV4. Black Car Steering Wheel Aid Power Handle Assist Spinner Knob Ball. 1 Steering Wheel Knob Spinner. Knob Size: 80 47mm (Approx.). This item is well made of premium material for durable and practical use. 1 Gauge Holder (Double). Easy to hold gauge firmly and fix on platform. Cup size: 16 11 7.5cm / 6.3 4.3 3in. Cup weight: 124g / 4.4oz. Hickory Black Auto Car Steering Wheel Suicide Spinner Handle Knob Booster. Knob Material: Wood Plastic. Easy to drive, long-distance driving, the steering wheel is no longer heavy, more relaxed for driving.